On Thursday, March 16, 2017, I spoke at The Oxford Club’s Annual Investment U Conference. This year, my focus was on artificial intelligence (AI). I recommended nine stocks. Guess what? All nine are higher as I write this. And half of them have already chalked up double-digit gains since the conference. My first workshop was so packed, attendees were dragging chairs out of an adjacent room. When my room was full, people started sitting on the floor in the aisle. Today, I’m going to give you nearly half of the stocks I recommended at my workshop. Of course, I can't give all of them to you. That wouldn’t be fair to the attendees. They each plunked down a big chunk of change to come hear me and the other editors talk about our current areas of interest and our current recommendations. However, at the end of this article, I’m going to give you a link that will enable you to get the five top picks I recommended. And they keep going up nearly every day. You’ll also get access to all the rest of the Investment U presentations. And you’ll be able to do it for a fraction of what the attendees paid. Are my recommendations still valid? You bet they are. Here’s how much they’ve gone up, both in dollars and percentage gains, since I recommended them on March 16. As I said before, I can’t give you my top five stocks, since I reserved them for the attendees. However, I’m going to give you the names and symbols of four of my recommendations that are still great stocks to buy and hold today. The first one is Netflix Inc. (Nasdaq: NFLX). It’s stock No. 6 in the table above. It turns out that the No. 1 online content provider is a big user of AI. Netflix users get movie and TV choices served to them based on previous selections. Big fan of Westerns? Netflix will start sending them your way. Like sci-fi? Watch a few, and you’ll get plenty more to choose from. But Netflix is using AI for a lot more than just figuring out what users like to watch. It uses AI to help it provide specialized video compression. Compression reduces the size of a video file, which reduces the load time and keeps the video from freezing and buffering. That provides better quality video to users who have low-bandwidth internet (like me). It’s amazing how the process works. Netflix uses specialized AI algorithms that look at every frame of video. They compress the video stream only as much as is necessary without degrading the video quality. Netflix calls its system the “Dynamic Optimizer.” It developed the system to address low-bandwidth problems in emerging markets. I believe Netflix is going to continue as the dominant content provider. And its use of AI means it will stay there. It should definitely be in your AI portfolio. Another big user of AI is the most widely used search engine company on the planet. I’m talking about Alphabet Inc. (Nasdaq: GOOG). That’s stock No. 7 in the table above. AI is at the center of Google’s search engine. But that just scratches the surface of what Google is using AI for. It can identify photos, recognize voice commands and carry out other tasks. 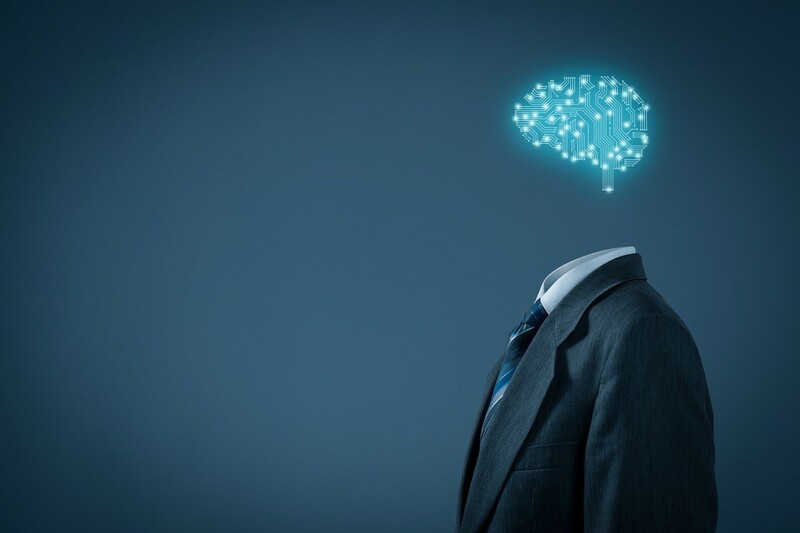 Google’s deep learning system called “RankBrain” helps the search engine generate responses to complex search queries. And Google needs it, too, as it gets millions of queries every second. Google has too many AI projects underway to discuss here. But you can bet that if AI is part of Google’s search process, it’s going to be a part of other areas of Google. This one also belongs in your AI portfolio. Stock No. 8 in my table above is Facebook Inc. (Nasdaq: FB). Like Netflix and Google, Facebook has an entire department for AI, which is called Facebook Artificial Intelligence Researchers (FAIR). The team is devoted to gaining knowledge from data. For instance, one of the uses Facebook has for AI is to describe a photograph to a blind person. That’s certainly pushing the AI envelope. Gaining knowledge from the billions of social media posts on Facebook and doing something useful with it is what FAIR is all about. 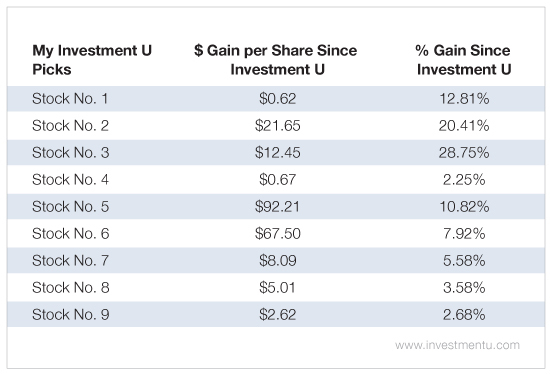 Even if you’re not a Facebook user, you should put a few shares of the top social media stock in your AI portfolio. Stock No. 9 is Skyworks Solutions Inc. (Nasdaq: SWKS). Skyworks’ business is connecting computing backbones, Internet of Things (IoT) devices and mobile ecosystems. The company is capitalizing on the rise in mobile connectivity. In addition, IoT devices are starting to appear everywhere. Skyworks is uniquely positioned to maximize the opportunities in the coming marriage of mobile, AI and IoT. This is another one for your AI portfolio. My best picks just keep rocketing higher. And you can get your hands on them by clicking on this link. I promise you’ll make back the cost of access in the matter of a month or two. Given Dave’s engineering background, he’s better equipped to evaluate high-tech investments than most. Needless to say, he’s extensively covered AI stocks for his Advanced Energy Strategist subscribers. One of his favorite plays is NVIDIA (Nasdaq: NVDA), a longtime member of the Advanced Energy Strategist portfolio. The company is a leading manufacturer of graphical processing units (GPUs). These are the high-performance computer chips that make AI technology possible. It’s no secret that our provider of artificial intelligence (AI) graphics processing units (GPUs) is doing a bang-up business. I’m talking about NVIDIA Corporation. Since I recommended it last July, our shares are up 122%. Last week, NVIDIA signed the Chinese internet company Tencent (OTC: TCEHY) as a customer. Tencent is interested in NVIDIA’s deep learning and artificial intelligence GPUs for its enterprise customers. NVIDIA is fast becoming the gold standard when it comes to AI applications. Its GPUs are found in every major cloud service provider’s systems. Alibaba Group Holding Ltd. (NYSE: BABA), Alphabet Inc., Microsoft Corp. (Nasdaq: MSFT), IBM Corp. (NYSE: IBM) and Amazon.com Inc. (Nasdaq: AMZN) are all NVIDIA GPU customers. With the growth of everything related to the cloud, NVIDIA’s future is bright indeed. Every subscriber should have a few shares of NVIDIA in their portfolio.